Ferry operator CalMac is to launch a new community fund aimed at creating opportunities for young people along the West Coast. The fund is open to non-profit organisations, with an onus being placed on presenting applications that will enhance opportunities for young people aged 26 and under who live in a mainland port or island the company serves. Grants from the fund will range from between £500 and £2,000. 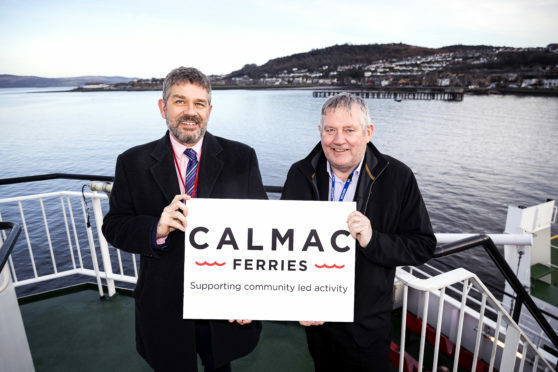 CalMac’s director of Community and Stakeholder Engagement, Brian Fulton said: “The establishment of a Community Fund was a key commitment by the company to help build stronger ties with the communities we support and to have a positive impact on people within them in addition to delivering transport links. “I’m delighted we are now in a position to reach out for applications. “The scope of use for this money is extremely flexible and I’m really looking forward to seeing some creative applications on how it can be used to help positively impact young people’s lives within our communities. Community awards are to be made across six separate areas by region and will occur three times over the course of the year. A screening panel of young people from across the CalMac network will judge each application as CalMac gets set to work in partnership with YoungScot. Organisations can access the online application form at www.calmac.co.uk/community-fund, with the first round of applications being accepted from groups based in the Western Isles and Ullapool from March 1.